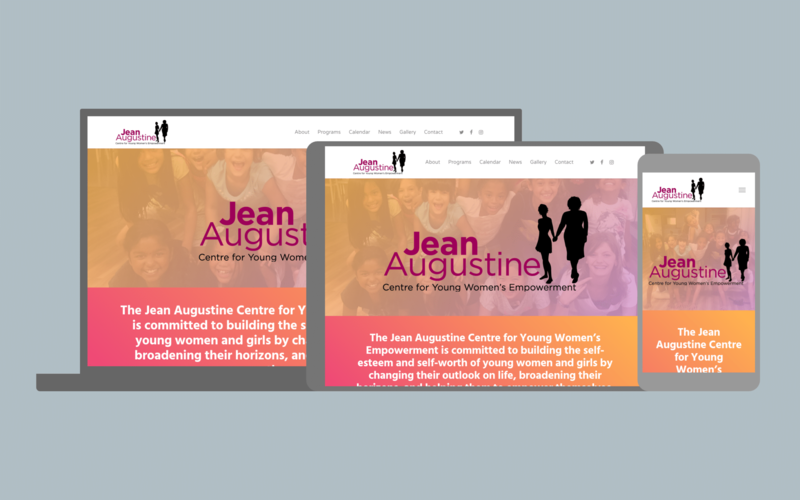 The Jean Augustine Centre for Young Women’s Empowerment is an Etobicoke charity that runs programs for girls and women in the South Etobicoke community. I was recommended to their Executive Director, Emma Asiedu-Akrofi, by a former freelance client, a professional chef who was running a cooking program for girls at the Centre. I have a lot of experience working with and working in the not-for-profit and youth sectors, from working at the Boys & Girls Club of East Scarborough for three years to volunteering as a mentor for CoderDojoTo to co-founding a tech-skills training program, TXDL. With this interest in supporting organizations that work with youth, I took on the project with enthusiasm. I wanted to create a site that would speak to the actual ‘users’ of the Centre—the girls who fill its halls with youthful energy, whether participating in yoga, cooking, crafts, or gardening programs. And so we ran a workshop where we had activities centred around helping them pitch ideas of what they thought the website should look like. From there, I walked the client through the process, from sitemap to revisions, fulfilling as many requests as possible, while advising them about UX and scope constraints where I thought it was reasonable. In the end, we ended up with a colourful site that puts the girls of the JAC front and centre, since they are the ones who make it what it is. WordPress (child theme of Salient); CSS; Sketch (branding); hosting setup (DreamHost); project management; client training.